Registrations grew 75% YoY in October, to over 208,000 units, beating the previous record (202,000 units), set in the previous month. This was a positive surprise, especially considering that the first months of every quarter are usually the slowest ones, so we are possibly heading for two other record breaking performances in the next two months, which would set this year straight into 2 million PEVs, a stark departure from the 1.2 million of 2017. Because of this, the global PEV share grew once again, to a record 1.9% share, which makes realistic the prospect that this year we will hit over 2% share. 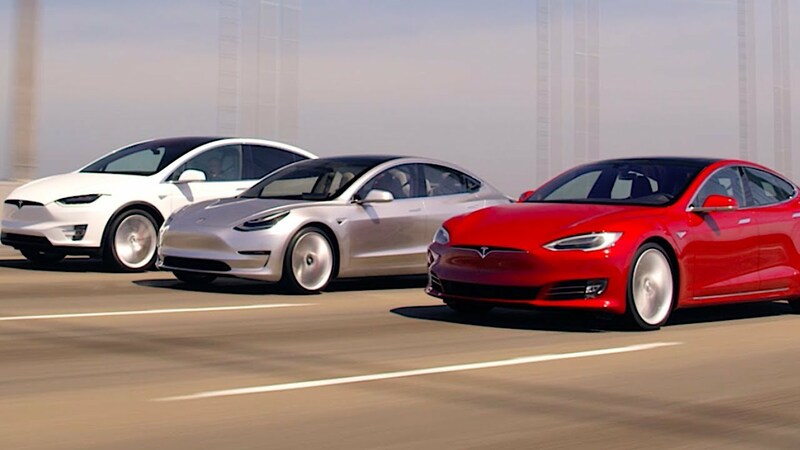 But the surprises in October didn't ended here, as Tesla took some time to breathe,from the Model 3 deliveries, at BAIC it was all hands on deck, with its EC-Series crushing its Personal Best, by delivering 20.648 units, not only winning the Best Seller of the Month award, its first since last May, but effectively ending a four months winning streak from Tesla's midsizer. With this performance, the EC-Series has now the #2 Nissan Leaf in its sights, and could already surpass it next month. A significant change happened in the Fifth Spot, with the BYD Qin PHEV surpassing the Toyota Prius PHEV, thus becoming this year Best Selling PHEV. With sales down 11% YoY, in a fast growing market, Toyota's only plugin model has already dropped two positions regarding last year, and could fall even further until the end of the year. Do i hear na alarm call at Toyota HQ? Are they listening? As for the remaining YTD ranking, the Mitsubishi Outlander PHEV climbed another position, to #9, followed by the BYD e5, now #10, that thanks to a record 4.463 deliveries, climbed one position. But the Climber of the Month was the Hawtai EV160, that jumped three positions, to #16, thanks to a record 5.736 units, at this pace, the little Chinese EV could even possibly end the year at #13. Looking at the BEV / PHEV breakdown, pure electrics have grown their share by yet another 1%, to 66% of the total market, mostly thanks to China and the Model 3, making this the highest BEV share since 1411 2011! October saw BAIC win the Manufacturers title, thanks to a record 28.000 units, while the #2 BYD also hit record levels, with over 27.000 units. With Tesla taking some time to breathe, ending the month only in Third, the fact is that the American maker has enough margin from BYD, to manage the leadership until December, where Tesla is expected to push the pedal to the metal once again and break its September record (39.000 units). Coming down from Outer Space and back to Earth, the most important change is Hawtai shooting to #8, thanks to a record 8.983 deliveries. 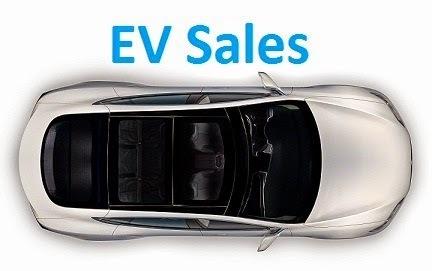 Below the Top 10, Hyundai profited from the Kona EV (4.600 units) tailwind, to jump two positions to #15, thanks to a record 7.139 registrations, while Volvo climbed one spot, to #18. Grouping sales by origin of brand, China has once again increased its leadership, to 48% (+1%), with the USA (16%) stable in Second, and #3 Germany (15%, down 1%) losing steam. Ok, will try to remember that. Thank you. Oh, one more thing! By the way I don't see the Kona (which is mentioned in the article) in the table. It was among the October Best Sellers, but YTD the numbers are not high enough to reach the Top 20. Maybe in 2019? Even better would be a sortable html table, where people could switch to sorting by YTD if they want to. PS: Why constrain the table to only 20 items? Dear Zsolt, you will find the items you are requesting on EVS sister website, EV Volumes, please send us an email, so that we could fulfill your needs. Gasgoo had BYD for october as 26k cars and 27k+ including bus truck. Your 27k comes in the middle. Is it cars only (but including exports as this is global?). Please also an E-bus, E-truck page quarterly. Now that non-Chinese bus and truck is becoming reality. BYD numbers include exports and LCV. It's hard to have reliable sources for Heavy-duty trucks and Buses, as most sources do not cover that kind of vehicles, and when they do, it's just by brand, not separating the fuel source. That is why i haven't posted this category. December (last month of the year) had the leads earlier. Then September (last month of the quarter) had the leads. Now it seems any month can take the lead. 208820 is really a big #, if we add the heavy vehicles, then its another 14,000. Nice to see BAIC EC-Series selling 20,000+ and storming into #1. Most likely Tesla will end the year as leader. Lets see what is their in the bag from BYD the close #2. I never heard of a company taken time to breath. I guess that is what happens when you have 2 mediocre months but than try to cram in as many deliveries as possible in the last week of the last month each quarter. Everything we have seen from Tesla in relations to the Model 3 during the 4th quarter points to the US reservation has all but been cleared. I expect to see a big push in December so that Tesla has another "great" quarter but I believe it is all down hill from there going into Q1 2019. @Matt B, as long Tesla will be single car manufacturing car-maker the logistic nightmare to feel a worldwide market will continue with the logical consequence of a last month of each quarter being a delivery rush. For the the 2019 Q1, sure it will go down, as almost all Q1 of each year. But this time it will be even more difficult as the US tax credit will fall to half and the base $35.000 Model 3 is not yet available to compensate the fall of the high end Model 3. Then, in international market, Tesla will have to produce a lot of Model 3 to be able to fulfill the European market, but which will not be able to do before the very end of Q1, an most probably only in Q2, and only for some European markets. Wanted to say "...as long Tesla will be a car-maker with only one factory building cars, the logistic nightmare to fill a worldwide market...". Hope it's clearer now. Sorry. The Mercedes seems even worse with their 280 mile NEDC claim, which will be surely below 200 in EPA and even less in reality. The NEO is a China only car, so of no relevance to the bigger picture. "October saw BAIC win the Manufacturers title, thanks to a record 28.000 units, while the #2 BYD also hit record levels, with over 27.000 units." BYD has mentioned that their Plug-In sales numbers will keep increasing over time. The question is if BAIC will also increase their Plug-In sales numbers over time? BAIC has also ambitious growth plans, they were talking about 170k units for this year. And i believe them. Next year, expect some 400k for BYD and some 300/400k for BAIC. Jose. Your global brands table shows Oct Oct when I believe it should show Oct YTD.